As it turns out, pigeons and squirrels love to nest under roof-mounted solar arrays. Squirrels, in particular, can do serious damage to the wires hooking up your inverters to your solar panels. These damaged wires then become a fire hazard. The detritus from nests (as well as dried leaves that can accumulate under panels) can cause damage to your roof and lead to roof rot. Beyond all the mess and the hazards, there is the issue of noise that pigeons cause. All that to say, unprotected arrays can cause you serious problems and headaches. Because of the fire hazard caused by damaged wires of string inverters*, it is now code that all systems using string inverters must have some kind of protection around the panels to keep pests out. For our solution to this problem, we use a beautifully designed aluminum trim created by SolaTrim. SolaTrim has several advantages over a simple wire mesh. It is a strong product made of lightweight aluminum with an aviation grade adhesive tape that seals it thoroughly to your solar panels. It is extreme temperature tested and comes with a 25-year warranty. 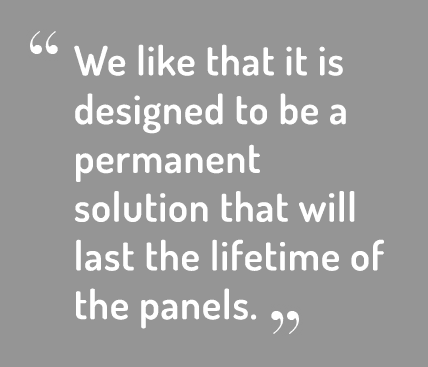 We like that it is designed to be a permanent solution that will last the lifetime of the panels. We also chose this solution because we wanted to use a trim that didn’t detract from the beauty of your home. SolaTrim adds curb appeal to your house by providing a clean and elegant finish to the array. 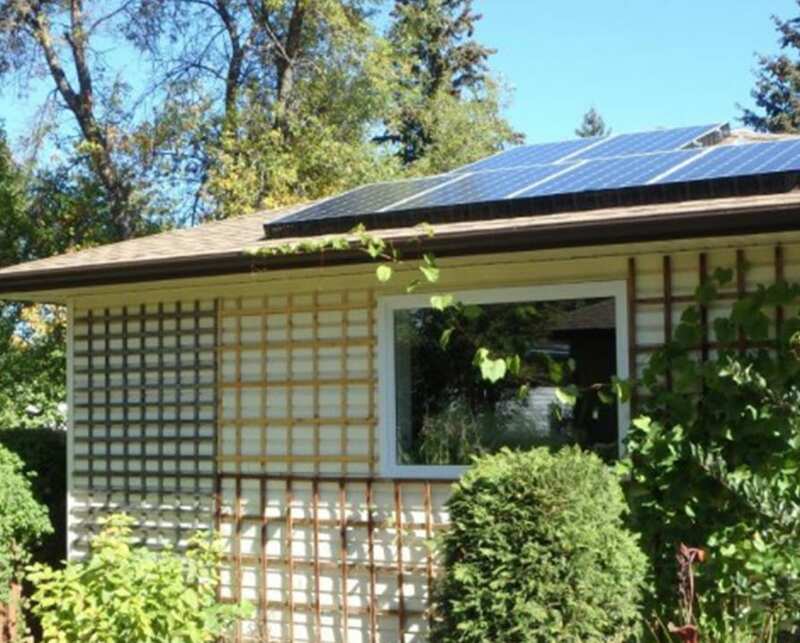 *Systems using either SolarEdge or Micro Inverters are designed to shut down automatically if there is damage to the wires. For this reason they don’t present a fire hazard, and installers are not required by code to install any sort of mesh protection. However, we always install trim, regardless of the type of inverter, to avoid the noise and protect your system and your roof..
Roof-mounted solar Array with SolaTrim around the panels to keep out debris and pests.